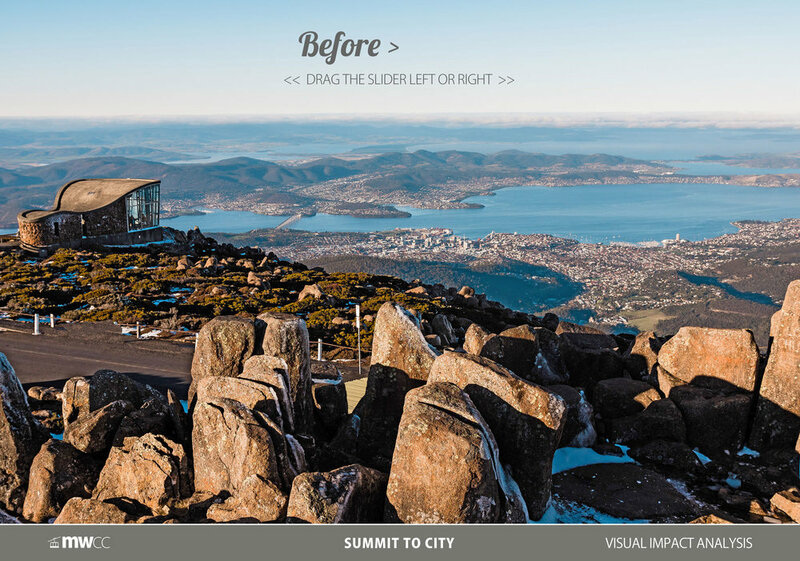 Visual Impact — Mount Wellington Cableway Co.
We are delighted to have pushed the world's best and most experienced tramway engineers to achieve a single summit tower solution; - a solution only achievable with our proposed route. 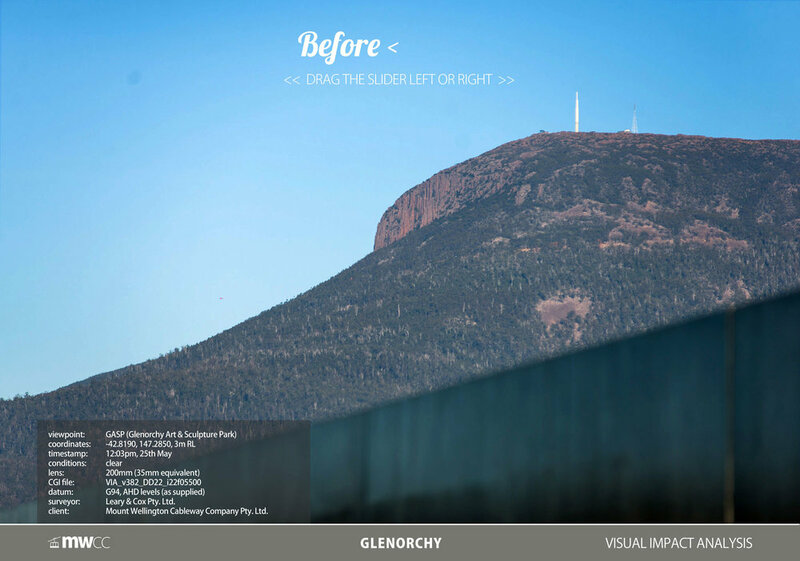 INSTRUCTIONS: Simply click and drag the white slider on each image left and right to discover the difference. 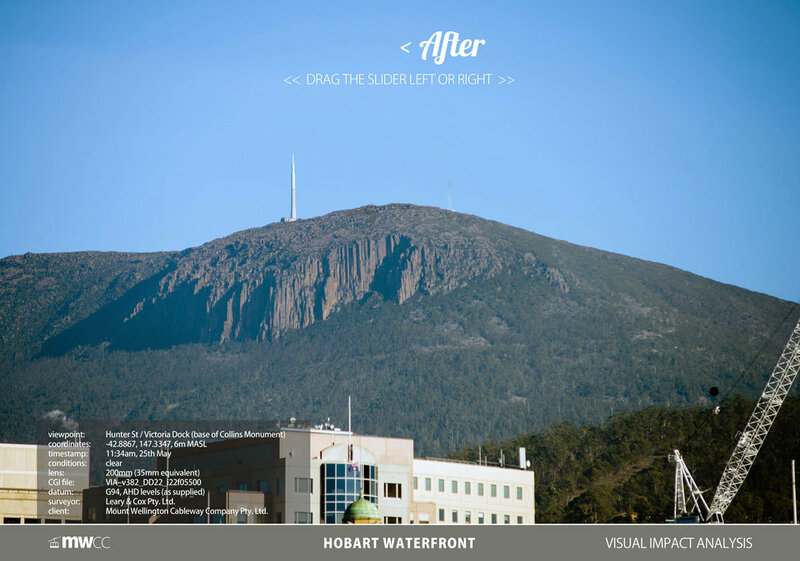 So that's how it should look from around Hobart. 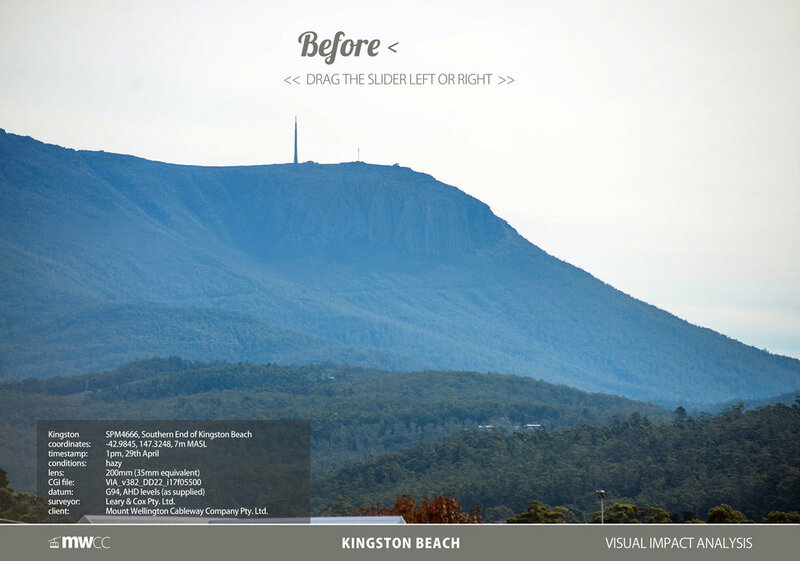 Is the impact better than expected or worse? You're nearly ready to submit an informed opinion. 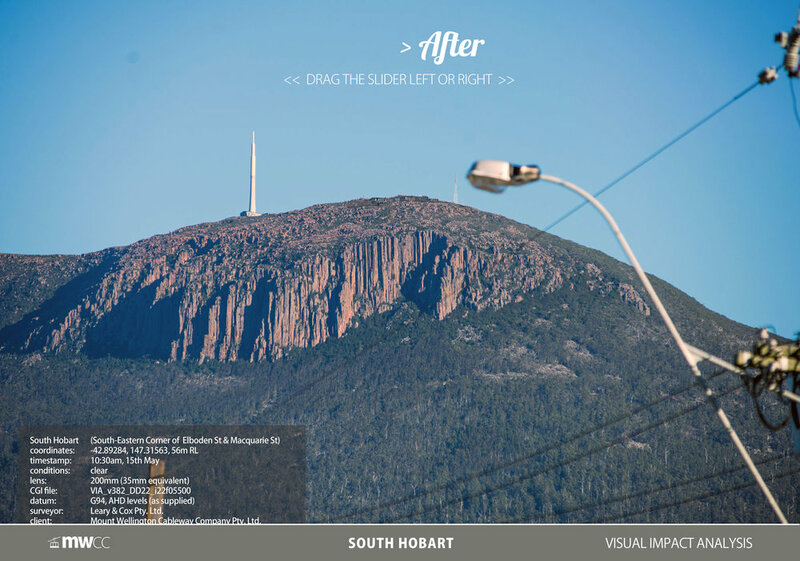 Scroll down one last time for the traffic impact on and off the mountain.